Here's to a healthy financially sound 2018! And while so many of us make New Year's resolutions, we often set ourselves up for failure because they're broken by the end of January. So instead, we are going to present ideas to ponder. Not because we think you should trade it, but because we know it's not going anywhere. And you know they were talking about it at the holiday parties you attended, so why not educate yourself so you at least can participate in the conversation. Luckily, there's a constant flow of bitcoin content on TheStreet, like this column with some serious predictions for the cryptocurrency. Or subscribe to Real Money to get even more insight from contributors like Ed Ponsi. 2. Start Reading Cramer - Regularly. Granted, we're biased around here, but he really does have his pulse on the market and delivers super valuable info all day long. Even if you follow his Twitter (TWTR - Get Report) feed or start with this video compilation where he discusses the 14 core holdings in his charitable portfolio, you will learn more than any MBA class could ever offer. Holy cow, Bed Bath reported an upside surprise!!! Retail is smoking!!! $BBBY .. and yes i would buy it..
3. Max Out Your 401k And Become A Millionaire Already. Really. We don't have to explain the power of compounding to you, but in case you need a good reminder, watch this video with Scott Gamm. And then get in financial shape so you can handle those unexpected expenses. 4. Check Your Insurance Policies. While we are talking about finances, be sure to check your insurance policies as we start the year. From floods to fires, 2017 seem to have it all. So be prepared in case Mother Nature offers some repeat performances this year. Know coverage and decide now if it's enough. 5. Teach A Kid To Code. And teach yourself while you're at it. "You're going to need to learn how to code to survive the 21stcentury. 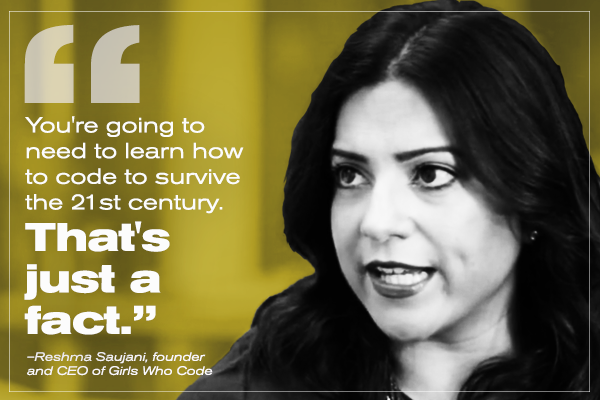 That's just a fact," said Reshma Saujani, the founder and CEO of Girls Who Code. Computer science will change the world and create the workforce of the future -- so get on it. 6. Get A Sponsor At Work - Finally. We have talked a ton about this already. Having a mentor is great. Having a sponsor is better. So do it this year. Find a sponsor who legitimately can make a difference in your career, said all the inspiring women of #AlphaRising. And once you find one, don't waste your time having coffee with your sponsor. "Come with an problem that needs to be solved and take advantage of their expertise," suggests Jenny Fleiss, co-founder of Rent the Runway. 7. Do Something Good for Your Mind and Body Every Day. Whether you workout or make a conscious effort to remove harmful toxins from your daily routine, those mindful changes will make you healthier and more productive at work and at home. 8. Think More About Mother Earth. 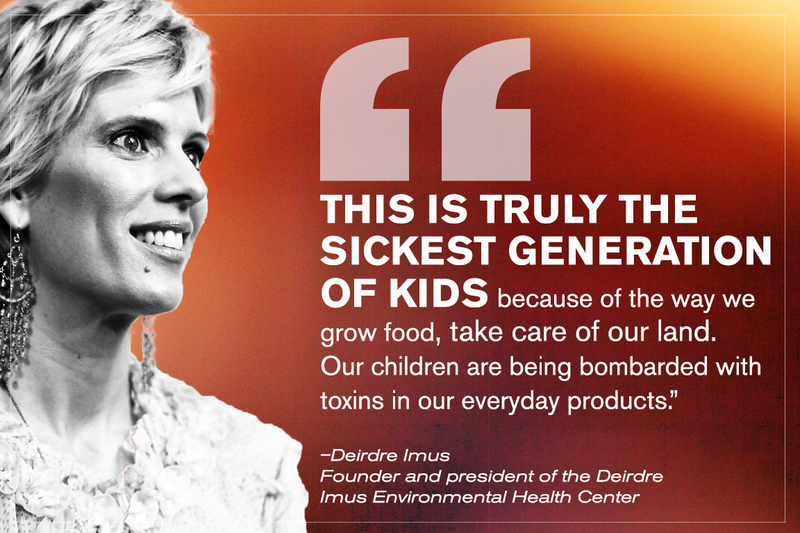 What is your company or household doing to save our planet? Mars Inc. is making your favorite M&Ms with wind power. Former MSNBC host Dylan Ratigan explained to Jim Cramer how his company, Helical Holdings, is growing food, purifying water, producing solar electricity, establishing wireless connectivity, creating jobs and providing essential community services. To each other. To your friends and family. Really listen. Don't opine or Google (GOOG - Get Report) an answer. Just listen. And we'll do the same for you. Tell us what you need to make you a better investor @tracybyrnes. If you do nothing else this year, do this. Because sometimes we all need to just slow down and listen.